Wild Birds DVDs and CDs. 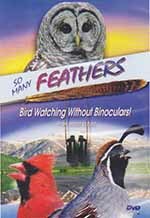 These bird focused DVDs and CDs are both informative and fun to use. 60 minutes of beautiful birds. 18 chapters including "Pictures for Kids" and For those who can't sleep." 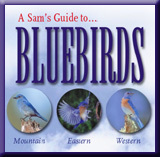 Click here to learn more about this bird DVD. This combination includes a CD, DVD and printed instructions for building your own bluebird house. Click here to learn more. This fun CD includes informaiton on virually ever aspect of attracting and feeding birds. Click here to learn more. DeBerry Products Company provides products and services to those interested in wild birds. Products include birdbaths, bird feeders, hummingbird feeders and other related products. Birdzilla.com is our content partner. The Birdzilla.com site features over 4000 pages of information about birds. Follow the links on the left to visit sites in the Birdzilla.com network. Copyright (c) Classifieds.tld. All rights reserved. Birdbaths Unlimited - A Deberry Products Company | 888-613-9973 | sales@deberryproducts.com.